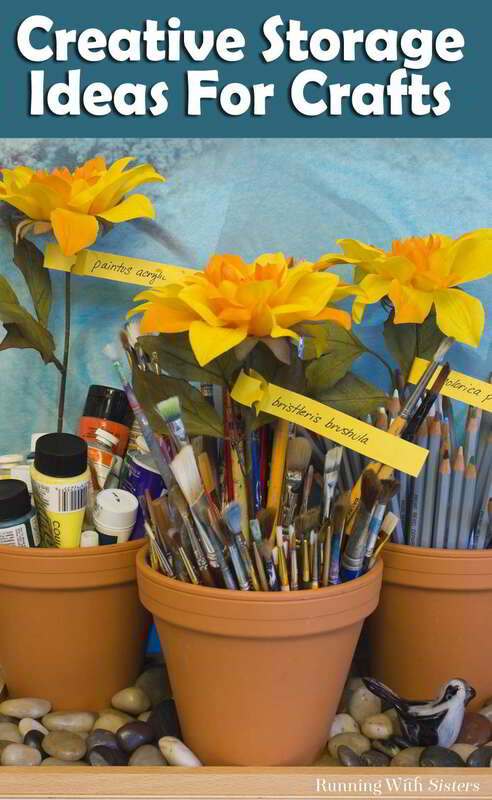 We love coming up with fun and creative storage ideas for our craft supplies. It’s almost as much fun as crafting! 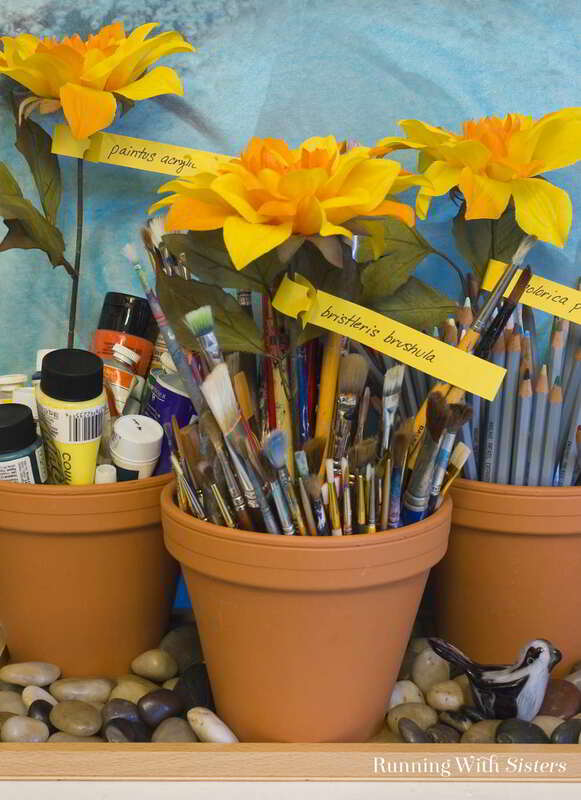 Do you have some ideas for creative craft storage? 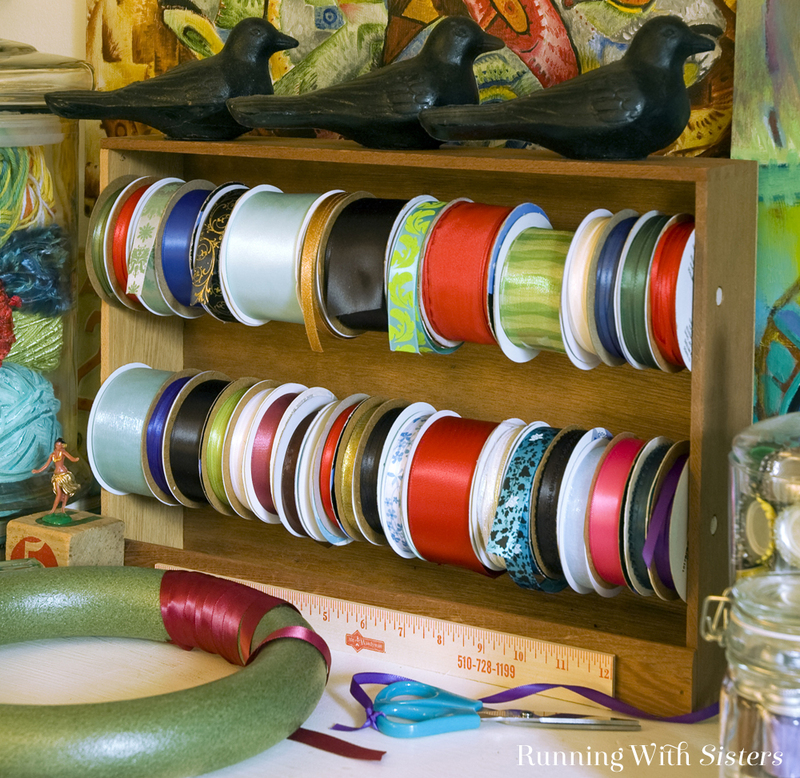 How do you store your craft paints, yarns, and beads? We’d love to hear your ideas! Leave us a comment below. Make projects portable by stowing them in crafty carriers. Look for paperboard boxes in funky shapes like a tubular wine box. Dress it up with scrapbook paper and add a loop of ribbon for a handle. Then tuck the materials you need inside, and you can craft anywhere! If you’re the kind of crafter who dabbles in everything, try photo storage boxes to get your interests in order. 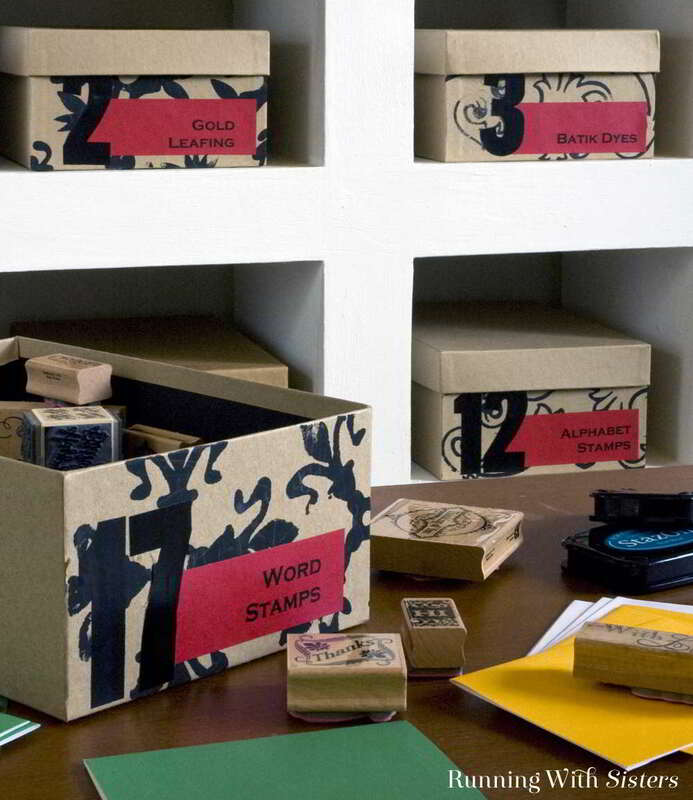 Buy boxes with a pattern that’s pleasing, or decorate plain ones with a rubberstamp design. Neatly label each bin on the end, and add a number system so each box will have a permanent address. 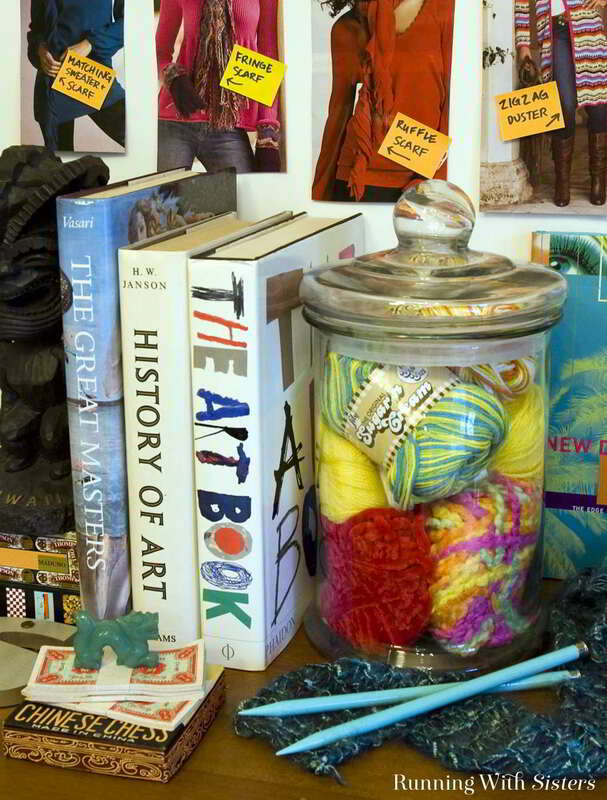 Colorful balls of yarn are too pretty to keep in a cabinet, so showcase their beauty in glass containers. Stash skeins in apothecary canisters and classic candy jars. You’ll be able to see your yarn at a glance and keep the kittens out! 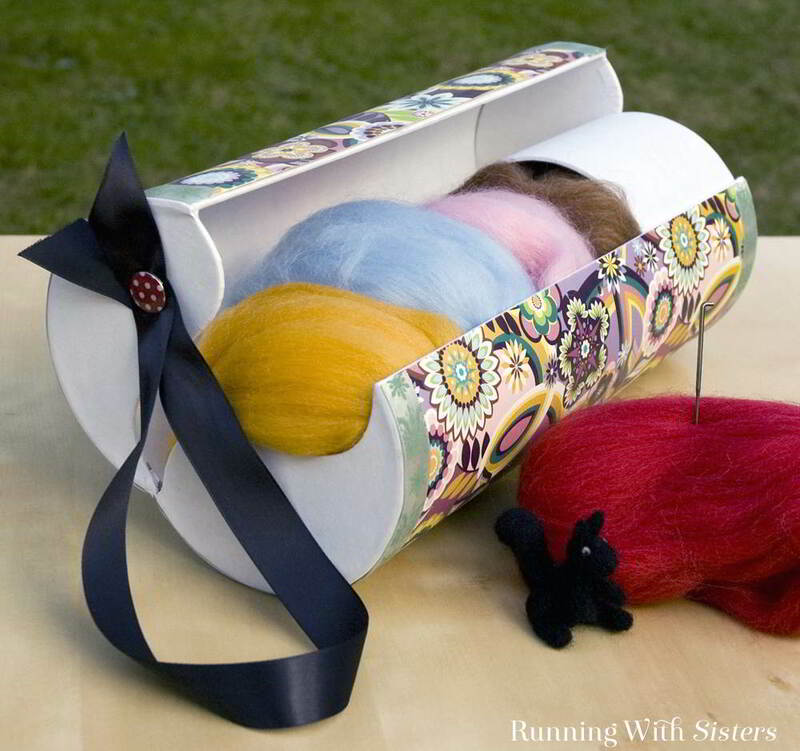 If rolls of ribbon have you unraveled, rein them in with a ribbon crate. Drill two holes big enough for a dowel in the sides of a wine crate, then skewer your organdy and grosgrain. Attach a ruler and a pair of scissors, and you’ll always be ribbon-ready!